At Apollo Hospitality Firm, we have a dedicated team to ensure the success of our firm. With goals set in mind, the executive team works on innovative ideas to keep our guest ecstatic. Our number one priority is our guests and our associates and that is what we operate by daily. We routinely visit our properties to ensure our management team and their team members are doing what it takes to be at the top of our industry. Listed below are our executive team members and management team. Please learn a little bit about our backgrounds in order for you to understand our company. Vasant Patel moved from England to the United States in 1979 and began his career in the hospitality industry in 1981 where he owned and operated his first hotel in Nevada, Missouri. Mr. Patel dreamed of forming a successful company with high-ethical standards, integrity, and a family-oriented type business. His passion was to serve his guest with first-rate accommodations and first class service holding his associates and guests to be the two most valuable assets. After years of experience, Patel is able to fulfill his dreams and desires. Today, Mr. Patel owns a multi-million dollar firm. As Founder and Chairman of Apollo Hospitality Firm, his responsibilities consist of verifying the firm is governed and managed under the 3 operating principles of Corporate Governance, Business Model, and Guest Satisfaction. He oversees and ensures that the companies' mission and vision is executed to continue the success of the firm. Mitesh Patel graduated from the University of Oklahoma with a major in Finance, a minor in Accounting in 2007 and became a part of the Apollo Hospitality Firm as the Vice President and Chief Financial Officer. 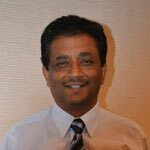 Mr. Patel was recently promoted to President. His obligations to the company consist of managing the financial planning and risks of the company, plans and develops new hotels, verifying all corporate documents are recorded and filed correctly, working hand in hand with the Vice President to grow the company. Even though his job involves multi-tasking on a daily basis and can be very challenging, it is also very rewarding. Apollo Hospitality Firm is equipped with a corporate team of valuable associates who are willing to go above and beyond to provide better service and better quality to the guest. The companies' corporate culture and integrity make the job enjoyable and forecast the companies' success to be eternal. Pratima Patel graduated in 2009 from the University of Mississippi with a double major in Finance and Economics. While in college, Mrs. Patel did an internship with Trustmark's Corporate Office as an Assistant to the Wealth Management Brokers. In 2009 after graduating from college, she worked for GEICO going through a Supervisor Leadership Program. In 2011, Mrs. Patel joined Apollo Hospitality Firm bringing her leadership and service knowledge to the company. Her daily obligations consist of the daily accounting for the hotels, managing corporate team, developing and executing operational structures for the corporate office and hotels, and assisting the President with the growth of the company by implementing innovative ideas to promote the hotels to be a leader among its competitors in the industry. The best part of working for Apollo is our dedicated team that strives to be the best, and the blend of our company culture which proves that the growth and accomplishment of the company will be inevitable. Prior to working in the hospitality industry, Teresa Cavallo began working as a Legal Assistant in 1978 and pursued this position for twenty-one years in both Oklahoma and Texas. In 2001, Ms. Cavallo joined the hospitality industry in Houston, Texas and became a part of our Firm in 2003. Her first position with the company was as Front Desk Service Representative, which she held until May of 2009. At that time, Ms. Cavallo was promoted to General Manager of La Quinta Inn North, knowing the importance of investing in her employees to help them be effective in their job to provide better service and quality to each guest. She believes with the different personalities and the camaraderie between the owners, co-workers, employees, and guests, it makes the job environment a very pleasant family-type atmosphere. In July of 2014, Ms. Cavallo was promoted to the Corporate Executive Administrator position with Apollo Hospitality Firm in our new corporate office. In this position, she oversees the properties owned by our Firm and assists the Management Team with Payroll, Human Resources, and many other areas. Ms. Cavallo's legal and hospitality background make for a good foundation in her new position assisting Apollo Hospitality Firm grow well into the future.